Shaanxi, in the middle reaches of the Yellow River and the eastern part of northwest China, has an area of more than 205,600 square kilometers. It is situated 105'29"-111'15" east longitude and 31'42"-39'35" north latitude, neighboring Shanxi, Henan provinces in the east, Hubei, Sichuan provinces in the south, Gansu in the west, and Ningxia, Inner Mongolia in the northwest. Shaanxi has a varied terrain. In the north are plateaus, in the middle, plains and in the south, mountainous areas. From north to south, the climate belongs to semi-dry monsoon temperate zone, semi-wet and semi-dry monsoon warm temperate zone and moist monsoon sub-tropical zone respectively. Annual temperature and precipitation varies greatly with regions. It is divided into 10 prefecture-level cities, 4 county-level cities and 83 counties, with a population of 36.05 million as of 2000, mainly including ethnic groups of Han, Manchu, Hui, Mongolian, and Tibetan. Yangrou Paomo (shreded cake in beef and mutton soup), Yulin Bean Curd, etc. Qinqiang (Shaanxi Opera), Han Opera, Xintianyou (a kind of Shanxi local melody), and Yangge (popular rural folk dance), etc. 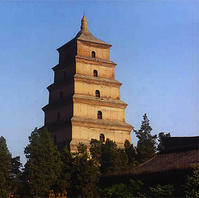 Shaanxi Province is called Shaan for short, with Xi'an as the provincial capital. In the middle reaches of the Yellow River and the eastern part of northwest China, Shaanxi is one of the cradles of the Chinese nation. Lantian Man of 800,000 years ago and Dali Man of 200,000 years ago all lived in this area. 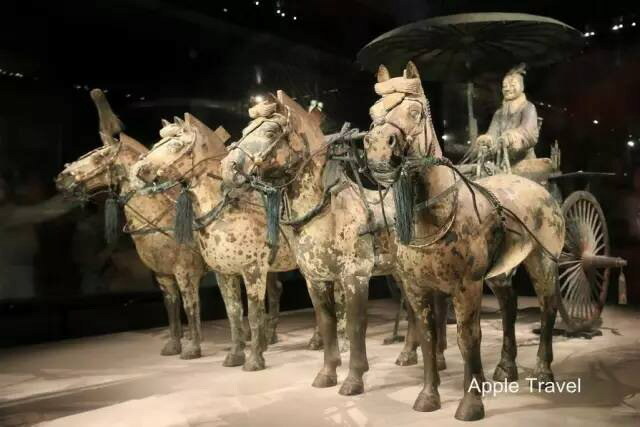 Xi'an was also the capital of 13 dynasties from the Western Zhou Dynasty (11th century -771BC) to the Tang Dynasty (618-907). 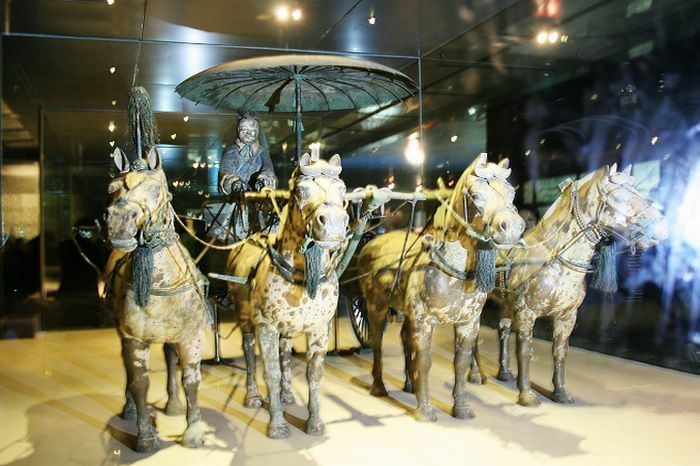 During the Tang period, Chang'an (present-day Xi'an) was an international metropolis, attracting many scholars from Japan, western Asian and Europe. 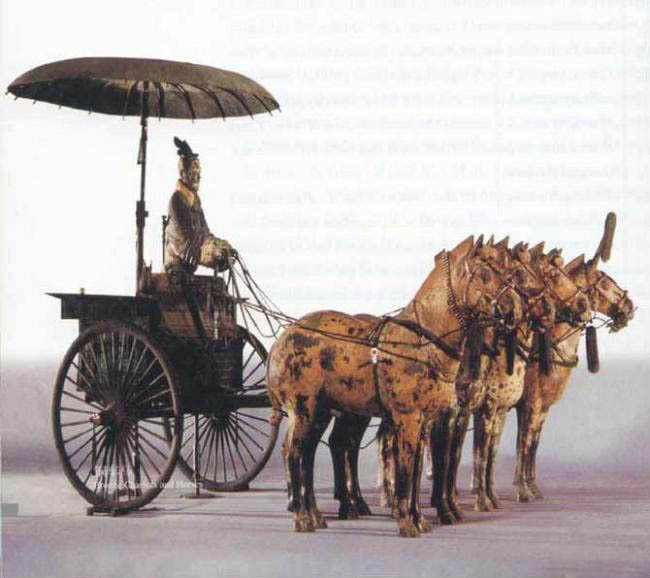 It was officially named as Shaanxi in the Qing Dynasty (1644-1911). Shaanxi has well developed agriculture and stockbreeding. In agriculture, the main products are wheat, cotton, silk cocoon, and tobacco, while flax is the important cash crop. The main industries include coal, machinery, textile, electronics and chemistry, etc. The coal reserve here is among the top in the country. Shaanxi Province is one of the central areas of ancient civilization of China. It abounds in places of historic interest and scenic beauty, including The Mausoleum of the Yellow Emperor in ancient times, the Mausoleum of the First Emperor of the Qin Dynasty (221-206BC), tomb figures of terra-cotta warriors and horses, the Great Wall, Xi'an City Wall, Forest of Steles, the Tower of Big Goose, the Banpo Museum, Huashan Mountain, Zhongnan Mountain, Taibai Mountain, and the Hukou Waterfall, etc. Yan'an with some other places in northern Shaanxi was the seat of the Central Committee of the Chinese Communist Party from October 1935 to 1948.